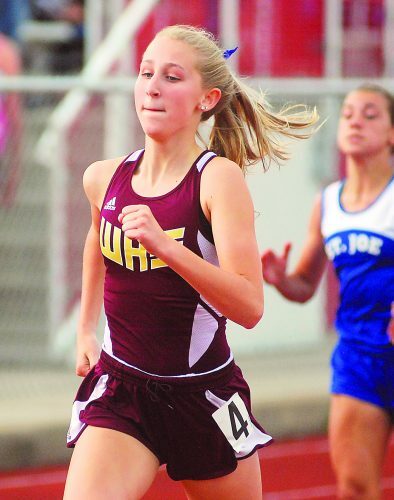 VINCENT – Sarah Greenlee and Chase Weihl each finished what they started. 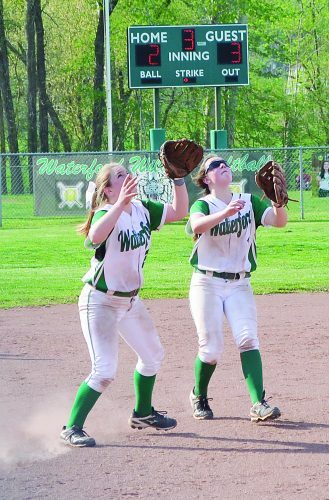 Greenlee, a sophomore right-hander went the 7-inning distance on the bump as Warren High downed visiting Logan High, 4-2, in Southeastern Ohio Athletic League softball action Tuesday. 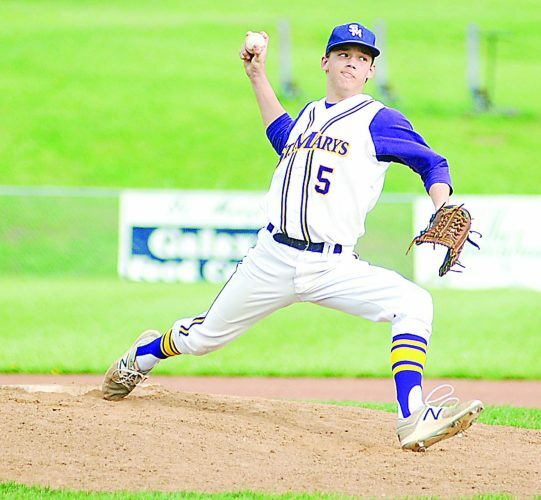 On the royal blue and white baseball diamond, the 6-foot-6 Weihl also pitched a complete game to lead the Warriors to a 6-3 come-from-behind triumph over the Chiefs. The Warren softball team improved its overall record to 9-2 (3-0 SEOAL), while the Warrior baseball squad evened its mark at 5-5 (1-1 SEOAL). On the hill, Greenlee fanned eight, walked none, and scattered nine hits. Offensively, sophomore center fielder Avery Grayson led the Warriors with two singles and one run-batted-in. Senior third-baseman Katlyn Coffman also drove in a run, and senior catcher Kylee Lynch ripped a double and scored a run. Freshman second-baseman Chloe Corser scored two runs. Logan, which fell to 2-8 overall, was paced by Olexia McBride, Addy Rooker, and Grayce Huntsberger, who each had two hits. Kelly Arnett and Payton Frasure each drove in a run. Righty Lainie Nakanishi suffered the mound setback. Lefty Nettie Ludwig threw in relief. Capitalizing on a couple of Logan miscues, Warren staked itself to a 2-0 first-inning advantage. Corser and Grayson both were able to leg it home on errant throws. The Chiefs cut it to one in the top of the second when Hannah Schrader doubled and scored on Arnett’s single to right. In the top of the third, Logan loaded the bases with one out, but Greenlee got out of the jam with a whiff and a popout. “She just stays calm,” Lynch said. Warren stretched its lead to 3-1 in the bottom half of the third when Corser scored on Grayson’s single to center. The Warriors made it 4-1 the following inning when Kylee Lynch doubled with one out and later came around to score on Coffman’s infield hit. Logan plated a run in its final at-bats to reduce the deficit to two. McBride legged it home on Frasure’s groundout to short. On the baseball diamond, Warren trailed winless Logan (0-8), 3-1, going into the bottom of the fifth. Helping spur the comeback were back-to-back doubles by Weihl and Trace Congleton. Congleton then scored the equalizer on Trace Schafer’s single. 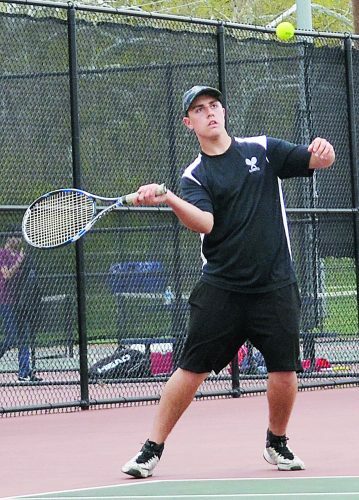 “Anytime you get back-to-back doubles, you’ll take that,” said Warren head coach Ryan Lemley. In the bottom of the sixth, Logan right-handed starter Dylan Mellinger was relieved by southpaw Chase Waller. Warren junior Max Hapney greeted Waller with a single to center, and was then sacrifice bunted over to second by freshman Drew Huffman. Bryce Gandee then drilled a single off the foot of Waller. On the hit, Hapney stayed put. Tanner Neal followed with a single to left to fill the bases. Stepping into the batter’s box was Heidelberg University recruit Jake Davis, who singled home Hapney and Gandee to make it 5-3. Up next, Tanner Proctor drove in Neal with a sacrifice fly to center. In the top of the seventh, Weihl, who finished with six strikeouts and two walks, retired the Logan side in order to seal the victory. “He had a rough second inning, but other than that, he threw really well today,” Lemley said. 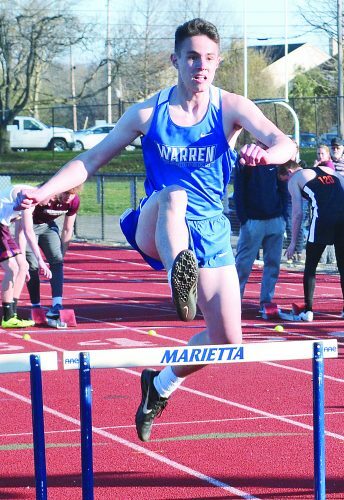 Warren plays at Parkersburg South Thursday, and then is at Gallia Academy Friday.